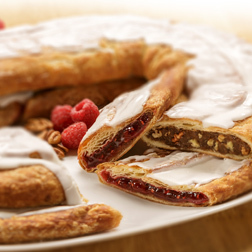 The perfect gift for any Kringle lover! 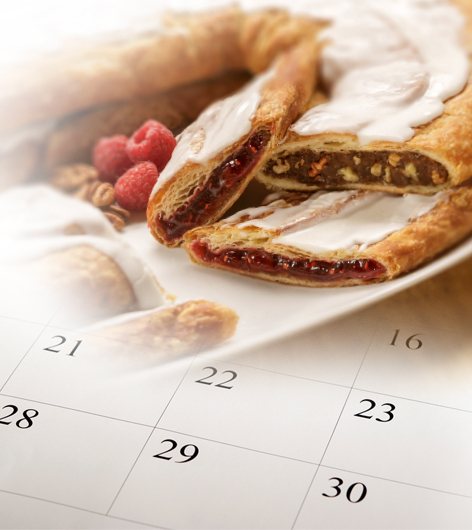 A Kringle of the Month Club membership is a perfect way to show family, friends or business associates just how much you value them. The recipient will receive a welcome letter detailing when to expect their monthly delivery, the flavors to be delivered each month, and the length of the subscription. As a welcoming gift from us, the recipient of a 9 or 12-month membership will also receive an 8 oz. bag of Stone Creek Ground Coffee and mug gift set for the first month. You may choose the date of the first shipment during checkout. Shipping is included in the continental US! See flavors tab below for a preview of what your lucky recipient will be receiving.